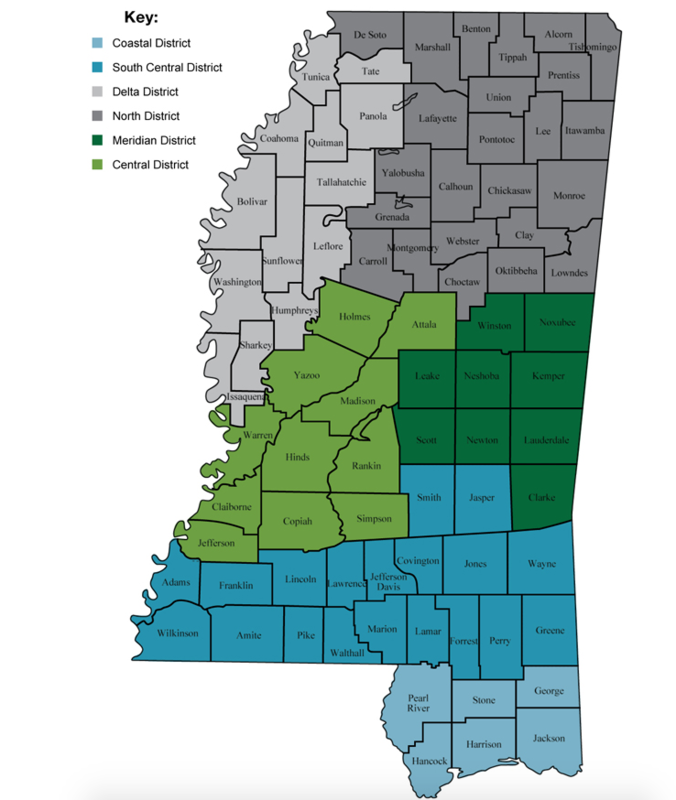 MSOTA divides the counties of Mississippi into 6 Districts for representation purposes. Each District is represented by a District Chair who is an active member of MSOTA and serves on the Board. Throughout each year, the Districts offer meetings and continuing education opportunities for the promotion and advocacy of our profession in their respective areas. The Districts can be seen on the map below, and you can see a list of officers (including district chairs) on the OFFICERS page.